GREAT THREE BEDROOM ONE AND A HALF BATH CONCRETE BLOCK HOME WITH ONE CAR CARPORT IN THE CITY LISTED FOR A TERRIFIC PRICE. This home welcomes you with a huge open living room, galley kitchen with all new kitchen cabinets, spacious laundry room with washer and dryer as a bonus, three nice size bedrooms and the master bedroom has nice-size closet with a half bath and all tile floors throughout the home. Outside you will love the extra large back yard with privacy fence on two sides and natural privacy in the back, sidewalks and one car carport. This home is close to all the schools, medical facilities and shopping. 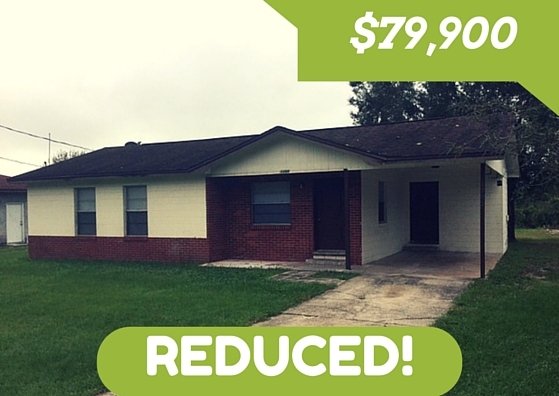 You will not want to miss this opportunity to own this adorable home!